We're getting low on our supply of our homemade BBQ rub (and we have a brisket on the big Traeger at home right now) so we decided to make a couple big batches of it today. 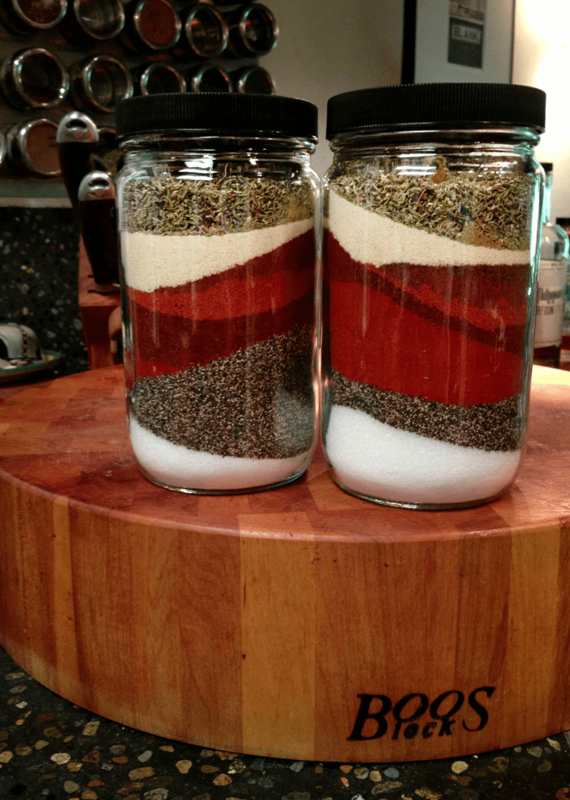 We headed over to Penzey's to pick up the bulk spices we needed, and got two large jars so we could make a double batch for home and a double batch for the Airstream. We're feeling generous, so we thought we'd share the recipe with you. We use it on chicken, pork, brisket, baby back ribs, and even occasionally on salmon.